Do you frequently feel offended by the remarks or actions of others? 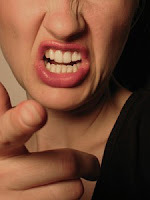 Do you take every minor event too seriously, allowing it to scare you or piss you off? Does someone else's bullying personality make you feel worthless? Do you mistake people's antics for subtle insults? Does this justify feeling offended? Taking things too personally makes life difficult. When you take things too personally, you make yourself more vulnerable to anger, frustration and “meltdowns.” Taking things too personally is like intentionally placing a heavy load on your shoulders. Why would you want to do that to yourself? Here’s what I have discovered: Most of the time, the way a person acts toward me has little to do with me. It has more to do with how this person was raised, how he/she deals with emotional issues, or other variables like his/her mood, energy level, or health. This is important for me to keep in mind on those occasions when I find myself taking the blame for things that are beyond my control. Below are some of the things I have learned to do that help me to stop taking others’ comments and behavior so personally. I hope some of these ideas can help you as well! 1. For the most part, I have removed toxic people from my life. These are people who treat me rudely or who dump all their problems on me without reciprocating in a supportive way. I try to surround myself with positive people as much as possible. I definitely feel more confidence in myself when I’m hanging out with people who treat me with respect. 2. I always keep a list of my strengths and abilities to remember what my strong points are. The list is on my refrigerator door so I can review it daily. 3. I also have a list of goals alongside my list of strengths. Having things to work towards gives me a sense of self-worth and purpose. This includes things I would like to improve on or advance in. I take each goal and break it into smaller steps (called objectives) so the goals don’t seem so insurmountable. 4. I constantly remind myself that I don't need anyone's approval. Just because someone isn't happy with me doesn't mean I have done something wrong. In many cases, it means that person isn't happy with themselves and expects me to fill their unmet needs in some way. 5. I find I become more susceptible to someone’s opinion if I am feeling doubtful and placing too much of my own self-worth on his/her opinion. When I am confident in my abilities, another person’s rude behavior or negative opinion is less likely to affect me. Feeling proud and confident in my skills is more important than the passing opinions of others. 6. When I was younger, I had terrible personal hygiene habits (e.g., didn’t comb my hair, brush my teeth, shower, etc.). But over time, I learned that this lack of personal care was a big contributing factor to my low self-esteem. Now I try to take care of your physical self with grooming and dressing to look my best. I keep my clothes clean and wear clothes that fit properly. I have tossed out old clothing that doesn’t fit, is tattered, faded, etc. And I try to keep a good posture. All of these things improve my mood. 7. In order to stop taking things so personally, I try to consider the situational factors as well as the other person’s motivations and background. Improving my self-confidence and communicating assertively are key to being able to handle other people’s comments. Avoid thinking over and again about what upset you. Rather, think of things that make you feel happy. When you take something too personally, go away alone for a walk or do some other form of exercise. This will boost your confidence, and the problem will look smaller. Don’t jump to conclusions too quickly. Wait a while before responding. Every 17 minutes, a suicide is completed, and every 42 seconds someone is attempting suicide. Research reveals that 80-90% of those who commit suicide had a mental health issue. The rates of suicide are rising among teenagers and young adults with High-Functioning Autism (Asperger’s). Professionals working with Asperger’s teenagers are suggesting that 50% of these adolescents have contemplated or attempted suicide, and they are at a 40-50% higher risk of completing suicide than their “typical” peers. 1. Avoid drugs and alcohol, because they can worsen suicidal thoughts. They can also make you feel less inhibited, which means you're more likely to act on your thoughts. 2. Don't skip your medications is the doctor has prescribed some for you. If you stop, your suicidal feelings may come back. You could also experience withdrawal-like symptoms from abruptly stopping an antidepressant or other medication. 3. Employ the techniques called “thought-stopping.” The basis of this technique is that you consciously issue the command, “Stop!” when you experience repeated negative or distorted thoughts. You then replace the negative thought with something more positive and realistic. Interrupting bothersome thoughts with a “stop” command serves as a reminder and a distraction. 4. Get treatment for the underlying cause of your suicidal thinking. If you don't treat the underlying cause, your suicidal thoughts are likely to return. 5. If you are already seeing a therapist, don't skip therapy sessions or doctor's appointments, even if you don't want to go or don't feel like you need to. 6. If you have depression, learn about its causes and treatments. 7. It is easy for negative thoughts to take over and run as out of control as a runaway train. But, always remember that you are the one who has ultimate control of your thoughts. What are thoughts anyway? They are simply words or pictures that flash across your mind. When you begin to see thoughts that way (temporary flashes in your mind), it is very liberating. When you begin to control your thoughts instead of letting them control you, then you are the ruler of your own destiny. Take several times a day and simply observe your thoughts. When a negative one pops in your head, first acknowledge it, and let it know that it's even ok that it is in your head. Then let it know that you are the ruler of your thoughts, and gently let it fly away like a bird. As you practice this, it will get more natural and you will easily be able to remove these negative thoughts. 8. Physical activity and exercise have been shown to reduce depression symptoms (e.g., walking, jogging, swimming, gardening, etc.). 9. Remember that suicidal feelings are temporary. If you feel that life is not worth living anymore, remember that treatment can help you regain your perspective — and life will get better. 10. Seek help from a support group. It may be hard to talk about suicidal feelings, and your friends and family may not fully understand why you feel the way you do. Reach out anyway. You may want to get help from your place of worship, support groups or other community resources. Feeling connected and supported can help reduce suicide risk. There are a number of organizations available to help you cope with suicidal thinking and recognize that there are numerous options in your life other than suicide. 11. Use the technique call “distraction.” Just as the name implies, distraction is anything you do to temporarily take your attention off of a strong emotion (e.g., reading, journaling, playing video games, watching a movie, calling a friend, etc.). Oftentimes, focusing on a strong emotion can make it feel even stronger and more out of control. Thus, by temporarily distracting yourself, you may give the emotion some time to decrease in intensity, making it easier to manage. 12. Work with a therapist to learn what might trigger your suicidal feelings. Learn to spot the danger signs early, and decide what steps to take ahead of time. Consider involving family members or friends in watching for warning signs. 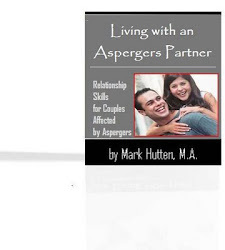 As people with Asperger’s (high-functioning autism), we are often blamed for lacking empathy. Empathy, as you know, is the ability to step into the shoes of another person, aiming to understand his or her emotions and perspectives, and to use that understanding to guide our actions. Empathy is NOT agreement, commiseration, endorsement, pity or sympathy. Instead, it is getting into another person's world and connecting with him or her – both emotionally and compassionately. 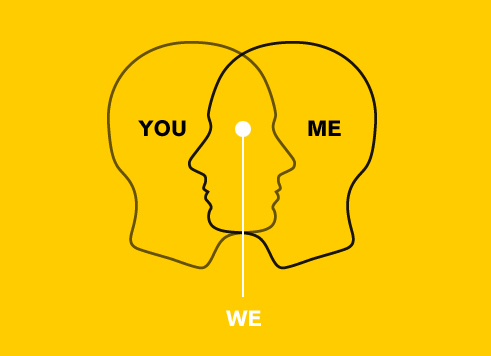 We don't have to agree with other people or fully understand them to be able to empathize, and we don't even need to be able to relate to what they are experiencing specifically (although sometimes that can help). We just need to be present, connect with others where they are, and acknowledge what they are experiencing. Is it possible for anyone on the autism spectrum to become more empathic given that “lack of displayed empathy” is one of the major traits of Asperger’s? I believe the answer is “yes.” But we must make the effort to “learn” this skill since it does not come naturally or instinctively to us. The best way to learn to show more empathy is to look at – and copy – the traits of those individuals who are already doing a good job in this area. Below is a list of such traits. Obviously, it would be an impossible task for you to dive-in and employ all 20 of the traits listed above. However, it would be within your reach to pick one or two of these traits, and make an agreement with yourself to implement them on a consistent basis. You can do it! I have faith in you!!! It just takes practice.